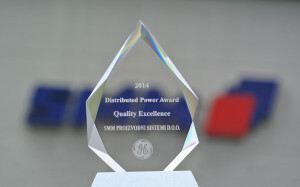 In February, our company received a recognition award from the world renowned company General Electric. We have a lasting and fruitful history of collaboration with GE’s subsidiary in Houston, Texas, since we supply them with complex assemblies for gas turbines. We are especially proud of this year’s award, since it was the only one in this category.